I found this softcover in the Little Free Library in Benson Park, Hudson NH while dropping off some books of my own. I enjoyed the TV series back in the day, and thought I'd give this a look. 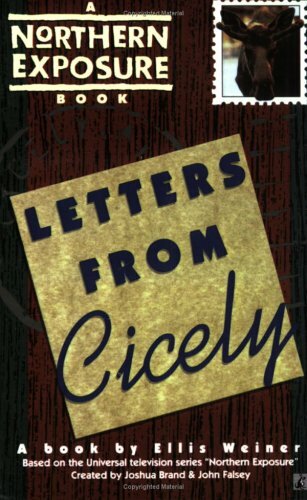 Later: Some entertaining dips into the thoughts of many of the town's characters, as they comment on their own lives, those of others, and town events, in the form of letters to friends and family - and sometimes to businesses, as in the case of Maurice's grumbling-letters. Fun concept! 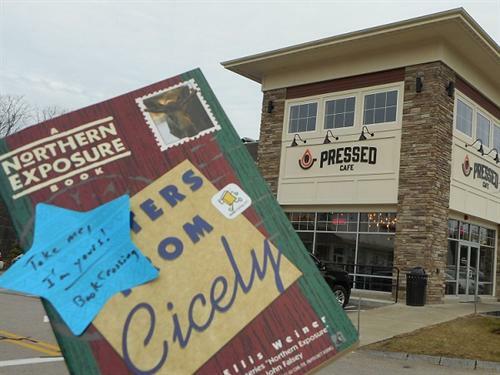 I left this book in Pressed while picking up a tasty wrap for lunch; hope the finder enjoys the book!